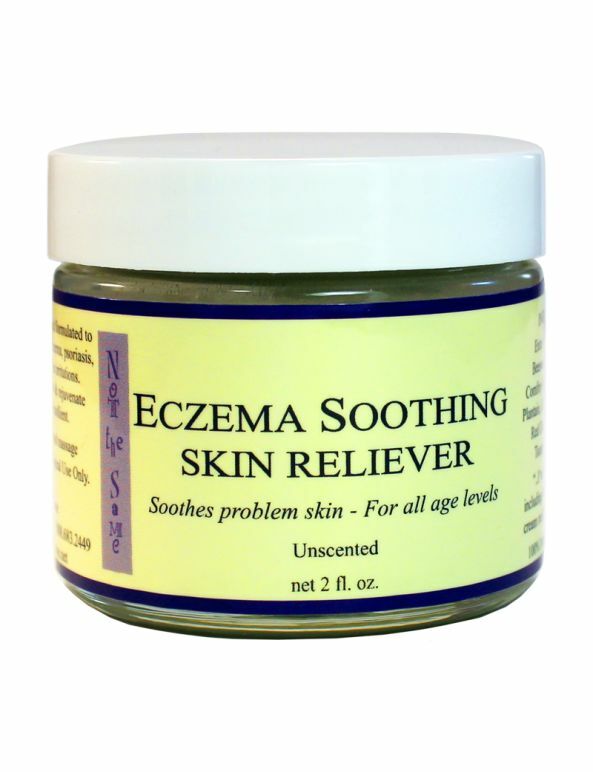 A soothing herbal cream to relieve the symptoms of eczema, psoriasis and other skin irritations (like bug & spider bites, bee stings, hives, etc). Soothes problem skin! A soothing herbal cream to relieve the symptoms of eczema, psoriasis and other skin irritations (like bug & spider bites, bee stings, hives, etc). Safe for use by all age levels and around sensitive areas like the eyes. 2 ounce jar.